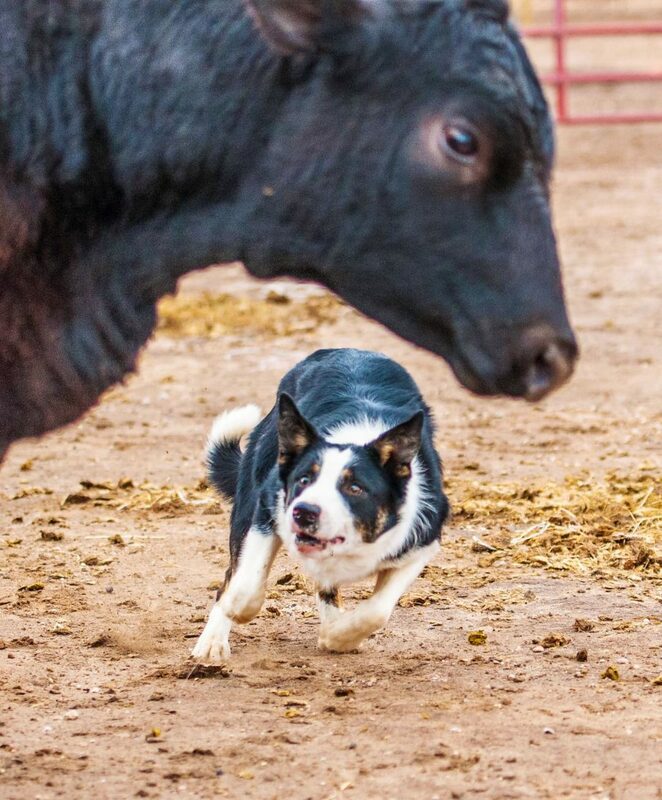 The cow dogs are coming to Cheyenne, Wyo. A cattle dog shows off his agility. A cattle dog uses eye contact and body position to move cattle. 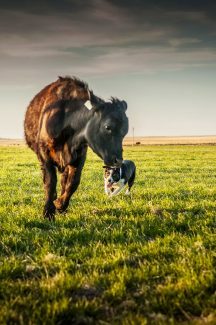 A cattledog positions his body to move the cow. A cattle dog approaches a cow in a pasture. 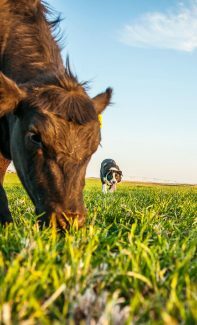 The National Cattle Dog Association National Finals will be held in Cheyenne Wyo., June 13-17 at the Laramie County Fairgrounds. Talented canines will demonstrate their agility, intelligence and athleticism as they carry out their handlers' commands. To many cattlemen and women, dogs are their best employee, a huge asset and an essential part of their operations. The national finals are a chance to see these dogs perform and to highlight their handler's and trainer's skills in teaching them their job. The use of dogs as part of herd operations dates back more than 10,000 years ago. In the late 19th century, a man in the Northumberland region of Scotland combined several breeds of canines to create an ideal herding dog. This dog was athletic, intelligent and ideal for handling herds in the rocky, hilly area of the Scotland-England border. Hence the name: Border Collie. The Basques in the border region of France and Spain were also developing a herding dog in the late 19th century. These dogs were the Australian Shepherds. In Australia Thomas Hall brought Heelers from Northumberland to New South Wales and bred them with Dingos for stamina. These cattle dogs were known as Queensland heelers and blue heelers and later became known as the Australian Cattle Dog. 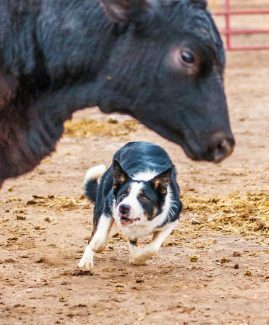 At the finals in Cheyenne, the best cow dogs from the U.S. and Canada will compete in four classes: open, nursery, intermediate, and horseback. Each dog must gather six cattle, 200 yards out and herd them through gates. The handler's whistle signals to the dogs as they maneuver the cattle through the course. 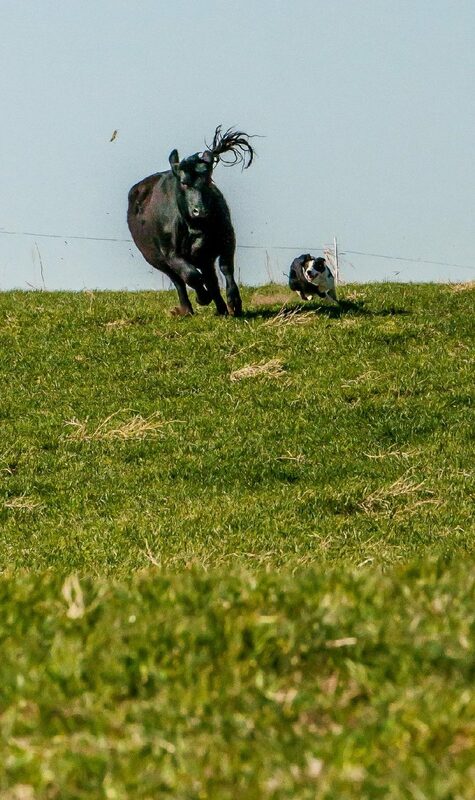 The dogs use eye contact with the cattle and body positions to move the herd. Open Class: Any dog of any age may compete in the open class. Any handler may compete in the open class. Nursery Class: Eligibility for the nursery class is determined by the age of the dog. Dogs eligible to compete in sanctioned nursery trials during the 2018-2019 qualifying year must have been born after Oct. 1, 2015. Intermediate Class: The intermediate class is limited to handlers who are not competing in the open class. Any dog may compete in the intermediate class. Any intermediate handler may acquire a dog of any level at any time during the qualifying year and make that dog part of his/her intermediate team. However, once a dog is part of an intermediate team, it must, during that qualifying year, be run only by that handler to maintain the intermediate eligibility of that team. The team may compete in any class, except open, for which the dog is eligible. 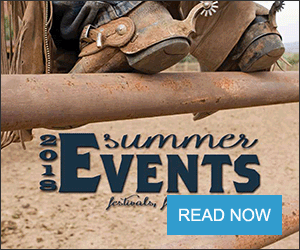 Horseback: In the horse division, cowboys will showcase modern-day ranching styles. The dogs bring the herd towards the handler while they give commands from horseback. 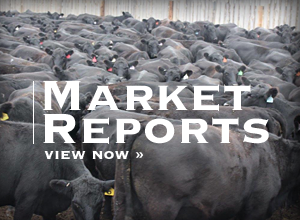 "The association's main mission is largely education and to encourage efficient, low-stress and humane cattle handling by promoting the use and demonstrating the value of well-trained cattledogs," said Bob Wagner, founder and treasurer of the National Cattle Dog Association.